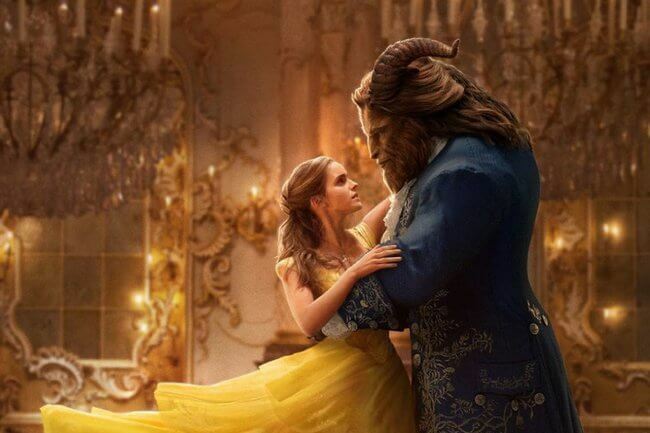 Disney’s marvelous adaptations of Beauty and the Beast have captured the imaginations of viewers worldwide. If you add the various literary versions, it’s safe to say that the classic fairytale has inspired children for generations. 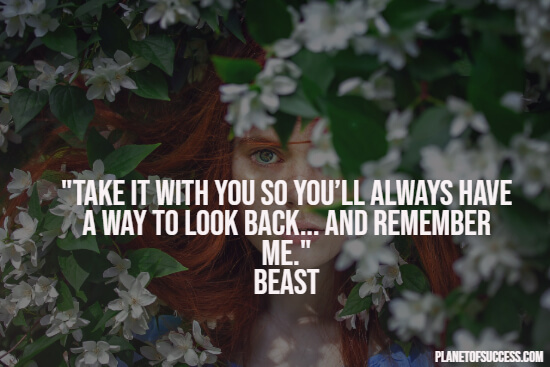 If you love the fairytale and its movie adaptations, the following selection of wonderful Beauty and the Beast quotes is a great resource for you that brings back beloved memories. Enjoy reading! The classic tale tells the story of an unlikely love and about gentleness that is unwillingly concealed behind beastly ugliness. Beauty and the Beast is about a self-centered Prince who is forced to embark on a journey of transforming his personality to become a better person. But it also tells the story of a poor woman who finds the love of her life by rather choosing a virtuous man instead of a handsome one. The fairytale highlights the importance of looking past superficial characteristics when it comes to making friends and falling in love. It also shows the great rewards that come with having the courage to look beyond a person’s appearance to seek for that which can be found within. Beauty and the Beast is a masterwork of world literature and its movie adaptations transformed the classic story into iconic movies. By doing so, the movies have contributed to expanding the legacy of the fairytale. Have you ever felt the need for a fine selection of the very best quotes of one of your favorite childhood fairytales? 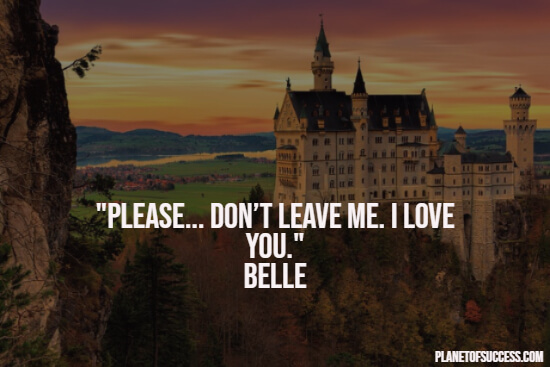 We’ve got you covered with our list of the most inspirational Beauty and the Beast Quotes. These are the quotes that will bring back wonderful childhood memories. 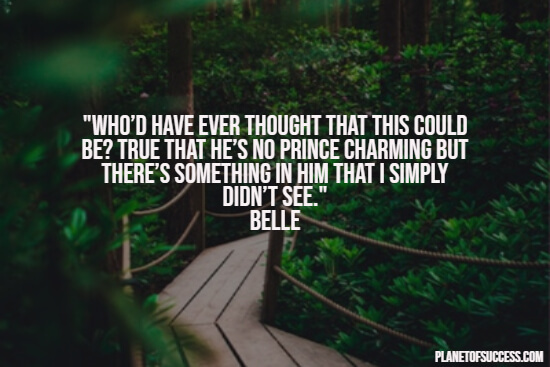 “And here I was thinking you were an utterly uneducated beast,” Belle said teasingly. The Beast gave a wan smile… and then leaned over and kissed her on the forehead. Gaston: When we return to the village, you will marry me. “How does a moment last forever? How can a story never die? “You promised to give me my bookstore back,” she said, trying not to cry. 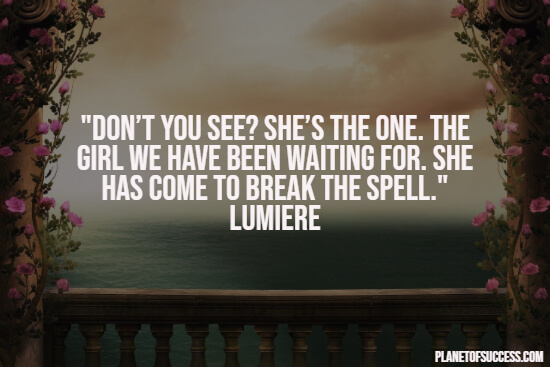 “Lumière: You must charm her! Be gentle! Lumière: Come, come, show me the smile! [the Beast shows his sharp teeth and tries to smile] Mrs. Potts: Ooh, dear! “She glanced this way, I thought I saw… And when we touched, she didn’t shudder at my paw. 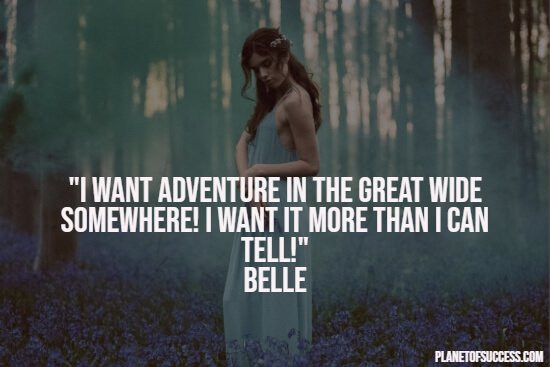 “Belle: What happens when the last petal falls? I hope you enjoyed this collection of Beauty and the Beast Quotes.